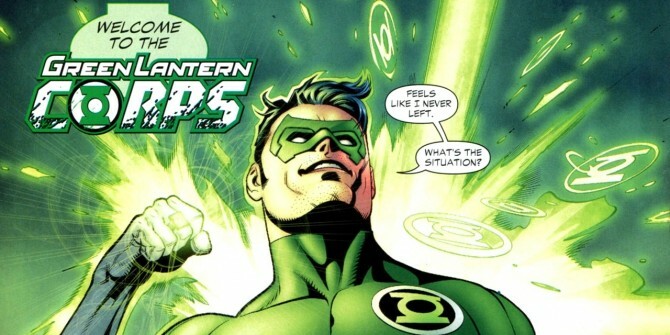 The future of Green Lantern in the DC Films Universe is currently unclear. There was no mention of the hero in Batman V Superman: Dawn of Justice, and producer Charles Roven has previously indicated that there’s a chance the character won’t be making his presence felt in either of the Justice League movies. What we do know is that Green Lantern Corps is set to be released in 2020, a whole nine years after the release of the version which starred Ryan Reynolds and ended up flopping hard. So far, rumours have pointed to Green Lantern Corps revolving around Hal Jordan and John Stewart in what would essentially be a buddy cop movie. However, a new report claims that a third hero will be added to the mix in the form of Kyle Rayner, a fan-favourite creation who actually replaced Hal in the 90s. Warner Bros. are said to be looking for an actor in the age range of someone like Matt Damon to play Hal (why not Matt Damon?! ), while John and Kyle would be a little younger. It sounds like a pretty interesting way to approach Green Lantern Corps, but seeing as the movie is currently so far away, it could be years before we hear anything solid about plans for the franchise or who will be taking on leading roles in the project as these – or other – characters.